Bohemian Necklace - 10 Styles Only $7.99! You are here: Home / Great Deals / Bohemian Necklace – 10 Styles Only $7.99! 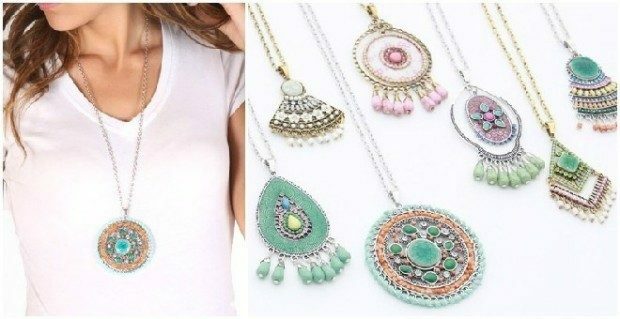 Bohemian Necklace – 10 Styles Only $7.99! This Bohemian Necklace in 10 Styles for Only $7.99 is marked down from $22.99 and is available with 1 flat rate shipping! The craftsmanship of these necklaces will help you fall in love – You will be sure to want more than one of these fabulous necklaces – so snag a few while they’re available!